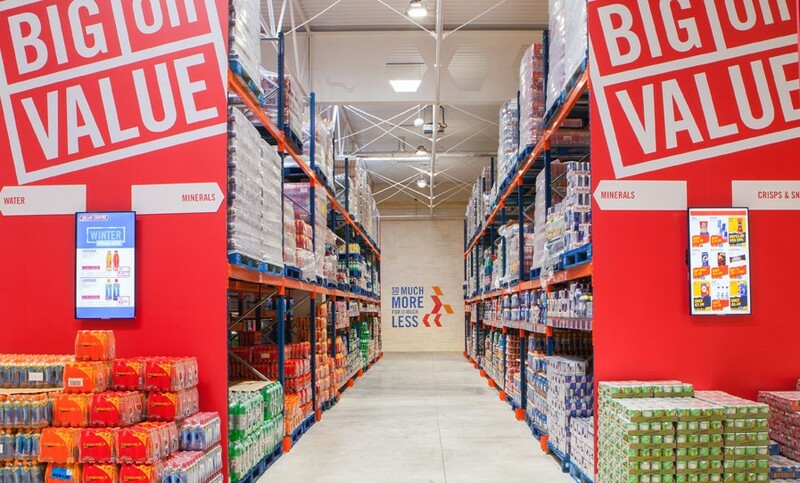 Last November, BWG Foods amalgamated their two Value Centre branches in Dundalk and Carrickmacross and relocated to Ecco Road, a 60,000 sq ft warehouse which underwent a €5 million renovation to become a new flagship store for them. The new Dundalk branch showcases upgraded IT and supply chain systems, and maximises the use of instore digital display to deliver real time offers to customers. 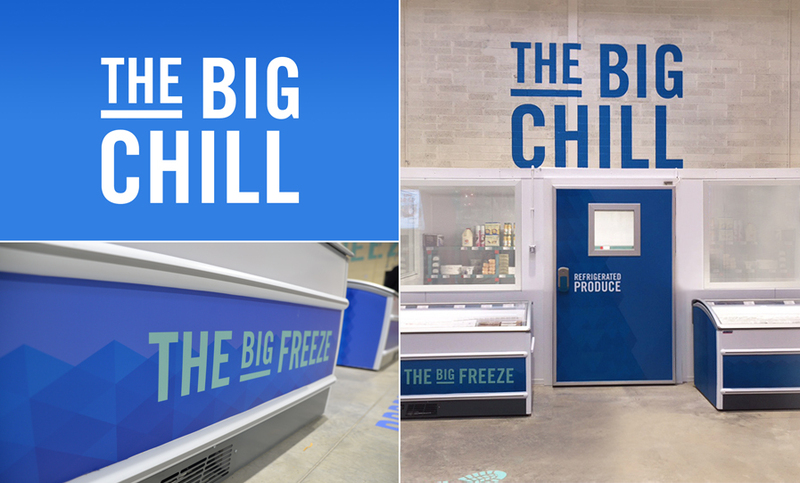 The branch is further equipped with an expanded chilled and frozen product range and relaxing coffee spot for customers to enjoy a well earned break. As agency partners to BWG Foods, we devised a branding system that would reflect the investment in this state of the art facility. Using floor plans, we mapped out the customer journey and defined the key customer touch points in the 60,000 sq foot store. 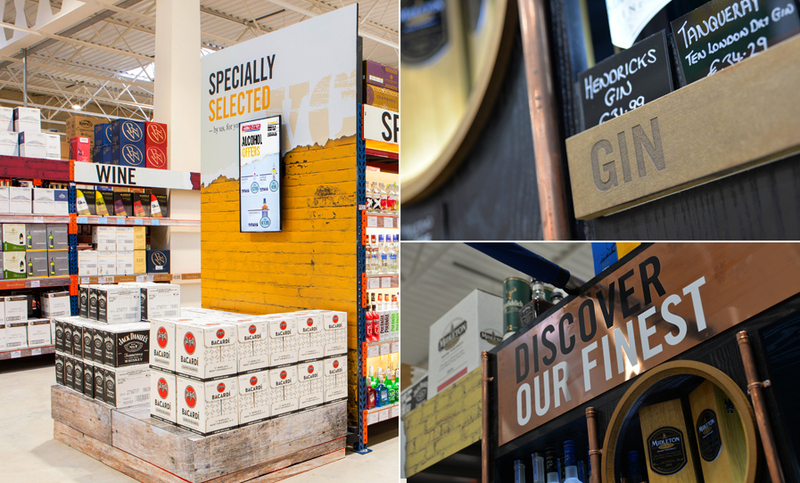 We worked with the Value Centre team to define the optimum store experience, we developed signage hierarchies and applied the new system through all customer touchpoints from carpark to aisles. 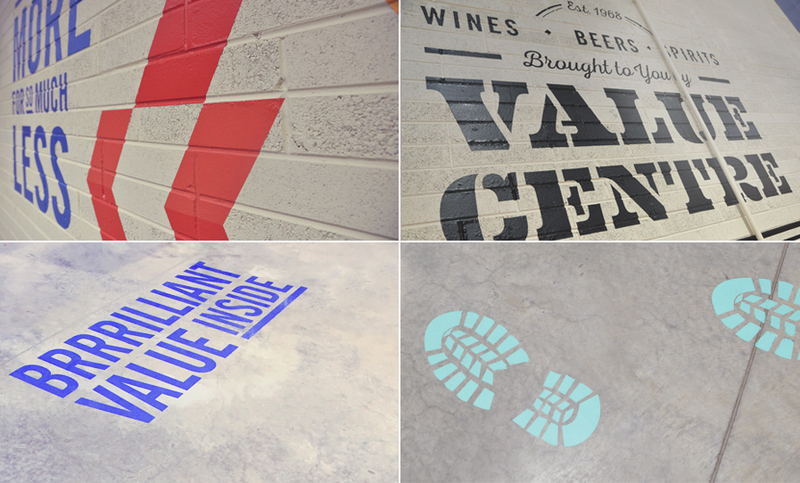 We were inspired by the vast physical space and used this as our starting point when approaching the store design. Rather than hiding elements such as brick walls, concrete floors and container like panels, we celebrated these as cornerstones of new visual system. We devised a system that was Big, Bold, Statement. An approach that was simple in approach, strong in impact. 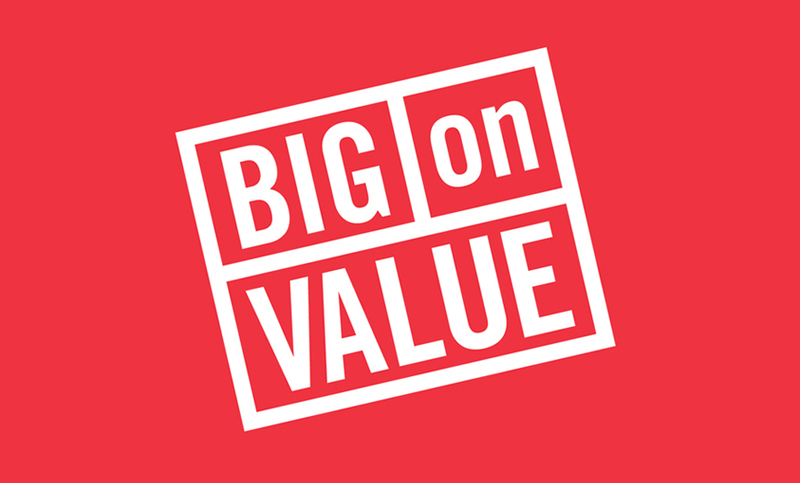 The brand messaging was guided by what Value Centre offer which is exceptional value, support and a local service to their loyal customer base. This new branch design has been very well received and will inform future branch refurbishments for the group through 2017 and beyond.